The parenting climate is a sad state of affairs these days. 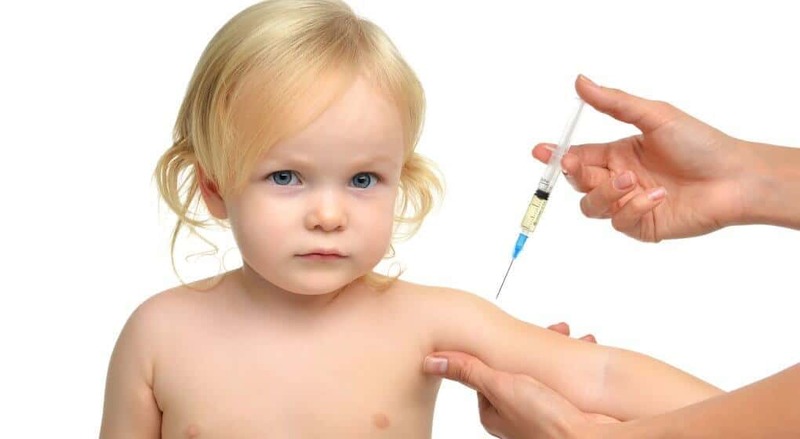 In a world where people are pushing for more freedom, they are blindly signing up to vaccinate their children without being given the full opportunity to give informed consent. How can one do such if they’re not being told about the risks that come with vaccines? Of course, flu shots don’t just apply to children. The Centers for Disease Control and Prevention encourages adults and children to get the flu shot annually. That being said, the CDC is also being investigated by Congress for potentially committing fraud and falsifying safety data on vaccine studies. Why isn’t anyone sharing this information with the public? Why aren’t the news and media outlets blowing the lid off of this story that’s been in the works since 2014? Because, here in America, the media outlets are owned by the same handful of billionaires that own the pharmaceutical companies. In other words, it wouldn’t be good for business — even if it’s not good for the people. Here’s a quick crash course on the real risks and alleged benefits of the flu vaccine. The message is loud and clear. Get your flu shot! The pharmaceutical industry has been hard at work for years making sure people are fearful of the flu. They publish stories of people dying from it. In truth, healthy people don’t succumb to the flu. The flu is just a complication on top of underlying issues that lead an unhealthy individual to pass away. The message is on billboards. It’s in doctor’s offices. Hey, they do get paid hefty bonuses from pharmaceutical corporations to keep a certain percentage of their patients vaccinated. So, why wouldn’t they advertise? We see it on television, too. Did you know the U.S. is one of only two nations that even allow pharmaceutical companies to advertise on TV? Pay attention next time you’re watching your favorite show. Count how many ads are geared toward Big Pharma. Believe it or not, the flu shot is very ineffective at preventing the flu. The CDC even admits to this. Each year, the vaccine aims to protect against old strains of the flu. It does not protect against the most current and contagious forms. Furthermore, the protection against those older strains isn’t exactly up to snuff. For instance, the CDC reported in February 2015 that the flu shot was just 18 percent effective against warding off the H3N2 virus! Ever heard someone say they don’t get the flu shot because every time they do, they get the flu? A lot of people misunderstand why this happens. Yes, there are vaccines that shed. They are created with live viruses, and the individual who is vaccinated then carries that virus and is contagious and able to spread it for several weeks. The flu shot isn’t a live vaccine, though. Instead, the adjuvants in the flu vaccine suppress the immune system and make the individual more likely to contract any illness they come into contact with. Per the manufacturer inserts for flu vaccines, they contain a wide range of ingredients that have never been tested to assure safety in injecting them into human beings. These ingredients include but are not limited to chick kidney cells, egg protein, antibiotics, MSG, and thimerosal — which is 50% mercury. Most importantly, flu vaccines contain aluminum — a known neurotoxin that has been linked to Alzheimer’s, paralysis, death, developmental and learning disorders, autoimmune disorders and much more. Much of the reason we see so much sickness today is because people aren’t taking proper care of their bodies. We have started adding toxic non-food substances to our diets, like polysorbate 80 — a carcinogen that is also in many vaccines. We’ve added artificial sweeteners that cause tumor growth and cancer. We’ve added gluten and other additives that our intestines cannot break down and process. Eating them anyway leads to gut injury, and this hinders the immune system. Thus, a strong focus on whole, organic foods is important. Nutrition is the foundation of a healthy life. You can take certain steps to go the extra mile during that alleged cold and flu season to safeguard yourself against contracting any illness, not just the flu. Daily increased doses of vitamin C and elderberry syrup help to boost the immune system. On top of a healthy diet and these supplements, mothers should always be encouraged to breastfeed to give their child the best possible chance at a strong immune system. Sadly, the flu vaccine is now being recommended routinely to pregnant women. What the doctor doesn’t tell you — and likely doesn’t even know — is that the flu shot has already been linked to miscarriage and stillbirth. The thimerosal and aluminum is the flu shot has potential to cause even more issues in the developing fetus. There have been no controlled studies done on pregnant women to test the safety of the flu shot being given during pregnancy, either. Consider this: manufacturers state the flu vaccine is not safe for infants under six months old, but they give it to developing babies before they are born. The heavy metals and other adjuvants in the flu shot have been shown to directly cross the placenta and pass on to the baby. 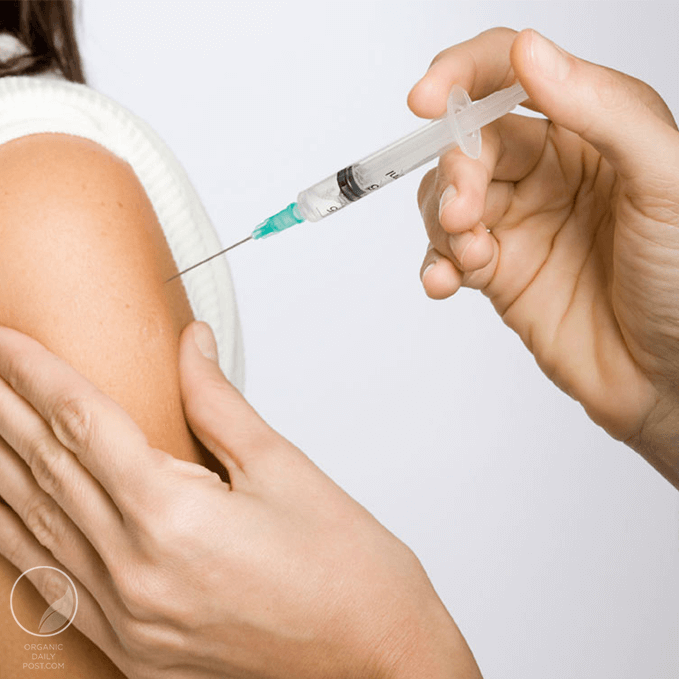 The adverse events and side effects noted in flu vaccine inserts include musculoskeletal pain, anaphylaxis, tachycardia, lymphadenopathy, vertigo, shock, conjunctivitis, cellulitis, chest pain, facial paralysis, neuropathy, Guillain-Barre syndrome, tonsillitis, convulsions, Stevens-Johnson syndrome, vasculitis, Henoch-Schonlein purpura, urticaria, angioedema and much more. The Vaccine Injury Compensation Program and VAERS have seen more cases than one could count in which an individual was injured or died after being vaccinated for the flu. At the end of the day, what we need is a real opportunity for informed consent. This is the starting point. Dig deeper. Compare statistics. Make a decision whether or not to vaccinate based on scholarly research, not on the word of organizations like the CDC that profit billions from patents they own on vaccines.